The HeartBout is a social network having a decentralized reward system. It is entirely based on a blockchain technology. The applicants who are taking part in the system such as creation and promotion of content, will gets a rewards in the form of cryptocurrency of the company. The HBC tokens can be utilized to spend on promotion of a publication such as advertisement. It represents that as much time an applicant spent on the social network, the more they have an opportunity to receive more coins. Any applicant gets an easy access to cryptocurrency and their own wallet after registration in the company. The network monetizes activity of applicants for publications, votes or comments providing issuance of HBC through its advertising capabilities.The advancement of the company includes 4 quarter in 2017 which includes adjusting application design and adapting to iOS 11, start of blockchain designing, formation of technical specifications for the advancement of the advertising engine, registration, tape, search, create and edit categories, profile, editing, settings, creating a publication, analysis of Steemit blockchain and a advancement of blockchain on the basis of fork stream.The advancement of the company includes 4 quarter in 2018 too. The first quarter includes the advertising promotion design in the application, design of the wallet, advancement and streaming videos, creating of the final post, activity, chat, call, animation, testing, beta version and advancement of blockchain using fork Steemit. The second quarter includes the finalizing, testing, release of the application in June and advancement of the android version. The third and fourth quarter includes the launching of the advertising engine, release of the android version, analysis of the possibility of integration of other advertising types into the application and formulation of the technical tasks for the advancement of other types of advertising. The price of the token is mainly dependent on the success rate of the company. In the US, the mobile native spending 168 billion dollar on advertisement in 2016 while it increased to 209 billion dollar till 2017. The expected increase is 252 billion dollar in 2018, 289 billion dollar in 2019, 335billion dollar in 2020 and 363billion dollar in 2021. The decentralized reward system includes the emission, reward to author, reward to voter, voting with cold heart, power of heart, reward for applicants during bout and miner reward. The input of activities related to the applicants is transmitted in the direction from the application to blockchain such as, set hot hearts and cold hearts, leave publications and comments and DAU.By using the HeartBout server, Heart Bout client and the Blockchain Heart Bout stay connected with each other. From the Ethereum blockchain to the HeartBout blockchain the transferring of token facilitate by the token transfer program which is a software that performs logical operations. The accounts of applicants become activate in the Heart Bout application after the registration in the initial coin offering. The central server of the company is mainly responsible for the maintenance of the consistency of the applicant accounts input base during their registration as well as authorization. HeartBout has been designed realizing the addiction of common people to social networking sites as we wanted to develop a social networking website which not only gives relief to tired minds but can also be profitable for them so entertainment and web surfing can become useful for them for revenue creation in return for their activities on social media. Team of HeartBout was willing to play their role in playing key roles for globalization of crypto currency so we incorporated this feature with our system. Users need to get registered and they will be having access to their own crypto currency wallets through which they will get reward for carrying out activities on their HeartBout account. The decentralized reward system of HeartBout is definitely going to serve as the key attribute in success of HeartBout. The reward is given in the form of HeartBout native tokens known as HBC tokens or coins. 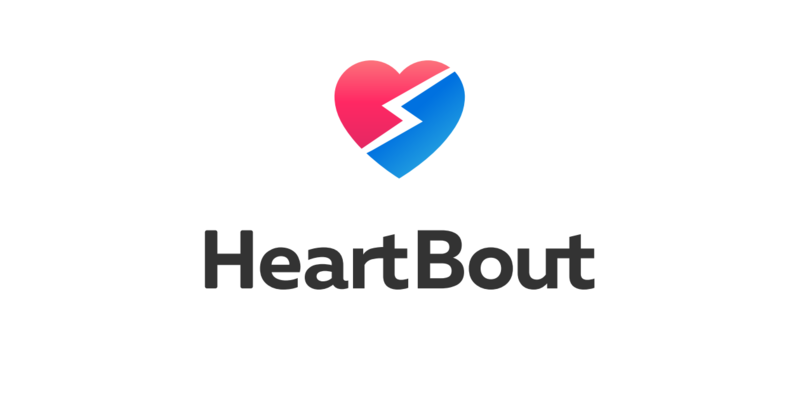 HeartBout records each activity and publication online and rewards back the users in HBC coins. These tokens can used to promote some content (for advertisers) or may be converted into local fiat currency to be spent somewhere else. We want to revolutionize the whole concept of using social media by converting it into profitable as more time spend on HeartBout will earn more HBC coins by the respective users.